How The Legendary Ambassador Conquered Indian Hearts…And Roads!!!!! 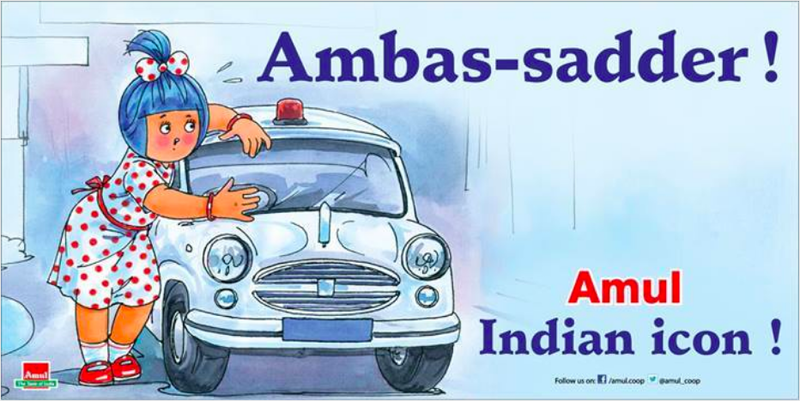 What is it that makes the good old ‘Ambassador,’ the only car in India that served dignitaries as well as the common man, a quintessential part of the Indian identity? The year was 1958 when the Ambassador, a gift that Hindustan Motors gave India and its people, hit the roads for the very first time. It was a true representative of the Make in India initiative, almost half a century before the terminology even came into existence. esoteric knowledge for its maintenance. In fact, the running joke of the time was that even a kid could repair an Ambassador! Perhaps that was what the makers had in their mind—a car that was supremely efficient, able to withstand even the worst of potholes, and seat extended families under one roof. Interestingly, the original Ambassador was modelled upon the Morris Oxford series III model, which Morris Motors Limited manufactured from 1956 to 1959 at Cowley, UK. With a 1,489 cc engine, this was the first car in India to have a diesel engine. In total, Indians have lived through seven generations of the car, with the first one being Mark-1 and the final one named Encore, which complied with BS-IV engine standards. The Ambassador’s love affair with the state and bureaucracy was even more deep-seated. The sturdy four-wheeler acquired an altogether new identity when a beacon was fixed atop its roof. It changed only when the late Prime Minister Atal Bihari Vajpayee ditched the ‘white elephant’ for a swanky BMW in 2003. It was a move that shocked many, and paved the way for a narrative shift in India’s power optics and with that, end of an era. Talking of politics, a rather amusing anecdote surrounding the Ambassador is from the days when Pandit Nehru was the PM. While he would usually opt for Indian-made cars for day-to-day travel, he would travel in a Cadillac when it came to receiving foreign heads of state and dignitaries from the airport. A confused Lal Bahadur Shastri, who was the then External affairs minister, asked Nehru about the switching between cars. Nehru responded that he did this “to let them know that the Indian Prime Minister could also be driven in a Cadillac. However, when Shastri took over India’s premiership in 1964, he stuck with the Ambassador—even when foreign dignitaries came visiting. By the mid-1990s, automobile industries from across the world began flocking to India and the market supremacy that Ambassador once enjoyed slowly began to give way to smaller and easily manageable cars like Maruti. Like the curtains fall after every great play, time was slowly inching up on Ambassador. With the exception of official cars and taxis, there very few of them on the road. The customary tribute post by Amul at that time was extremely poignant as it seemed to resonate with almost everyone who had driven the vehicle or even sat on the passenger seat, at some time or the other. Honestly enough, while cars may come and go in India, nothing will come close to the adulation that the ‘King of Indian Roads,’ as Ambassador was known, has enjoyed. A car that became the enduring symbol of post-Independence India, the Ambassador will forever remain an intrinsic part of the country and an unforgettable memory for its people.